The Rock and Roll Hall of Famer first came to stardom in the 1950s along with Elvis Presley, who many music critics have pointed out borrowed heavily from Berry’s sound and brash stage presence. Presley would hardly be the last musician to copy Berry’s pioneering style. Among the many bandleaders performing a backup role with Berry in the 1970s were Bruce Springsteen and Steve Miller when each was just starting their careers. Berry is included in several of Rolling Stone magazine’s “greatest of all time” lists; he was ranked fifth on its 2004 list of the 100 Greatest Artists of All Time. He was ranked seventh on Time magazine’s 2009 list of the 10 best electric guitar players of all time. Even as a senior citizen, Berry continued tour the world. In 2008, he toured Europe, with stops in Sweden, Norway, Finland, the United Kingdom, the Netherlands, Ireland, Switzerland, Poland and Spain. In his later years, Berry lived in Ladue, Missouri, a few miles from his hometown of St. Louis. He regularly performed one Wednesday each month at Blueberry Hill, a restaurant and bar located in St. Louis from 1996 to 2014. 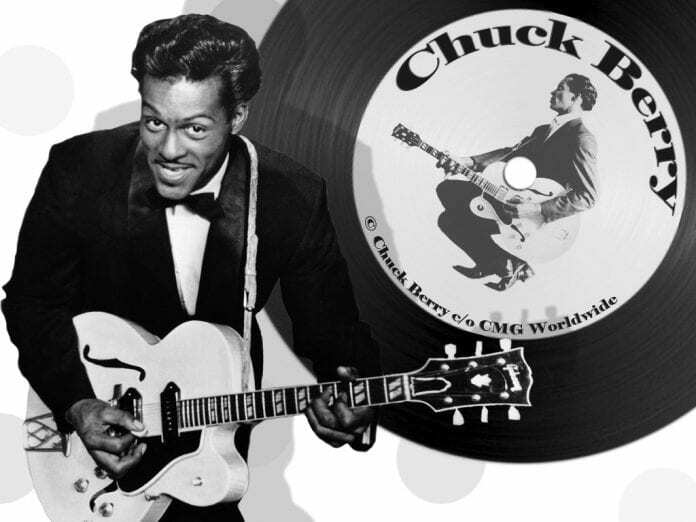 Berry announced on his 90th birthday that his first new studio album since 1979, entitled Chuck, would be released this year. 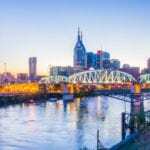 Plans are for the album to be released through Dualtone Records here in Nashville. Chuck Berry died of natural causes at his home at the age of 90.